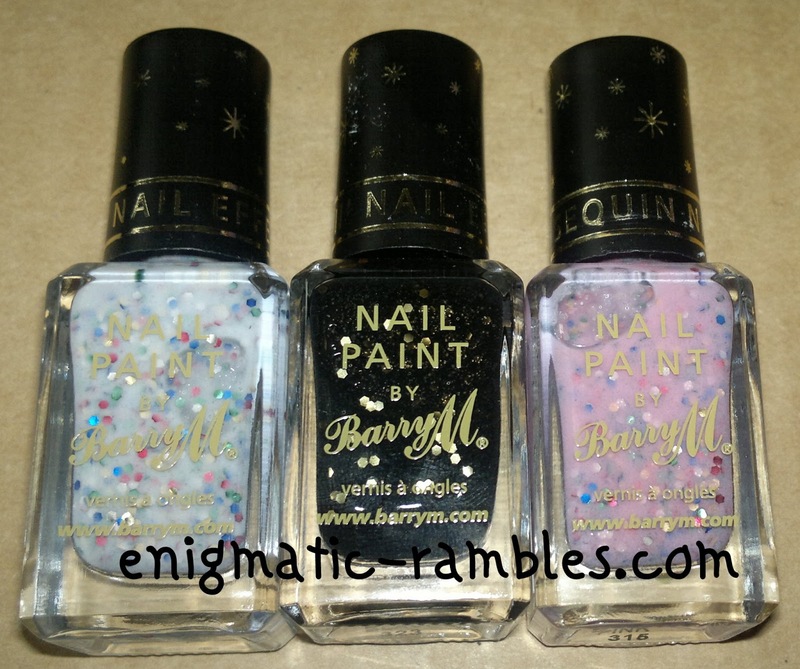 This is one of a set of three 'Sequin' effect polishes brought out by Barry M for Summer 2013. I have seen a lot of negative reviews of this but you never know someone might like this sort of effect. I don't like to do negative reviews, especially for a brand I like so much, however it does go to show that even great brands can have dub products. 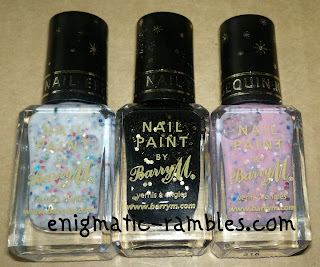 That said I am quite sure Barry M will take on all of this criticism and come up with something amazing again next. After reading all of the reviews and knowing that these were exceptionally textured and thick polishes I doubt I would have personally purchase these. I won these in a competition and thought I would just share with you the effect. It is up to you if this is something you may like to get. 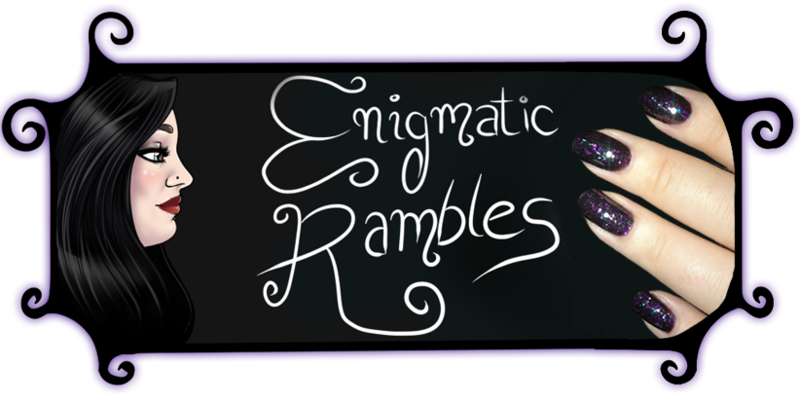 Really these polishes could have been really amazing had they not have been textured, they could have been like a lot of a the indie glitter polishes but a lot easier to get a hold of. I personally found it very difficult to wear, it caught on everything and snagged my hair. The photo shows two coats. 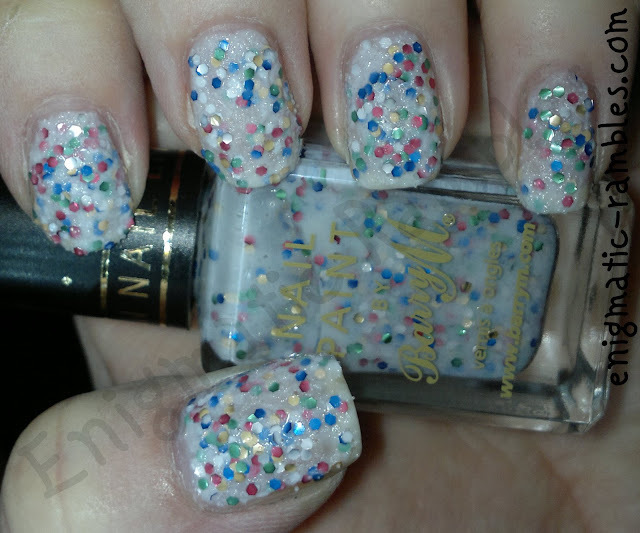 Basically these are a very textured polishes, with the addition of chunky varying coloured glitters. 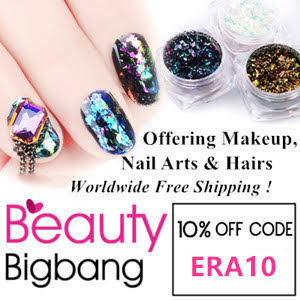 As the glitters are so large they don't lie flat on the nail and along with the texture base polish it just leads to an extreme texture, thick effect.